The Collinsworth School of Music at California Baptist University seeks to invest in young musicians and encourage music education throughout Southern California. To this end, the CBU Young Musicians Program partners with organizations who provide opportunities for students to participate in music education at an early age. Our two current partners in this journey are Inland Empire Musical Arts (IEMA) and the Harmony Project - Riverside (HPR). Inland Empire Musical Arts (IEMA) exists to bring music and arts to families in the greater Riverside area. Through their partnership with CBU's Young Musicians Program, IEMA offers classes throughout the week for students to hone their musical craft. In addition to the weekly classes, students who participate in certain honor ensembles through the CBU Young Musicians Program with Inland Empire Musical Arts are eligible to receive scholarship funds toward future study at California Baptist University. Prerequisite: students must be in high school grades 9-12 and must audition to be accepted into the above courses. In addition to these weekly classes, IEMA and CBU partner together to bring summer music camps to the community. Students will explore music in a large ensemble setting while making new friends. This camp will focus on the basics of singing and music theory while performing unison and two-part music. No prior musical experience is necessary. The ensemble will perform for friends and family in the Camp Concert on Friday afternoon. Developing singers will have the opportunity to advance while performing a variety of choral repertoire. Emphasis will be placed on the fundamentals of choral singing, sight singing, and musicianship. Prior singing experience is preferred, but not required. The ensemble will perform for friends and family in the Camp Concert on Friday afternoon. High school singers will advance in their vocal skills and musicianship while performing a variety of four-part (SATB) choral works. Emphasis will be placed on producing a rich, vibrant tone, sight singing, and closely following the conductor. Prior singing experience is encouraged. The ensemble will perform for friends and family in the Camp Concert on Friday afternoon. Available to middle school students who have played their instrument (woodwinds, brass, and percussion) for at least one year. Emphasis on reinforcing good fundamental technique on the instrument, including breath support, tone quality, and intonation. Grade 2-3 repertoire. The ensemble will perform for friends and family in the Camp Concert on Friday afternoon. Available to high school students who have played their instrument for at least two years. Areas of emphasis will include characteristic tone production, and advanced concepts of intonation, blend and balance. Grade 3-4 repertoire will be studied. The ensemble will perform for friends and family in the Camp Concert on Friday afternoon. For middle school string players (violin, viola, cello, and double bass) with at least one year of previous experience. Emphasis will be on developing excellent technique and applying that to the repertoire. The ensemble will perform for friends and family in the Camp Concert on Friday afternoon. Designed for the more advanced high school string player, the program offers students a week-long orchestral experience. A variety of challenging works for strings will be performed. At least two years of experience is expected. The ensemble will perform for friends and family in the Camp Concert on Friday afternoon. 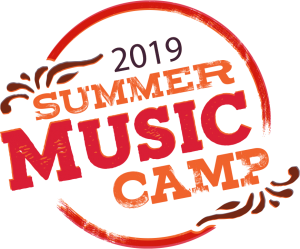 Camp fee includes camp T-shirt, lunch daily, performance materials, and camp concert.